It may not look that bad to some, but when you take the time to compare the sales of The Wii U compared to it’s predecessors. Then it’s pretty depressing if you are a huge Nintendo loyalist. But not at all surprising. In correlation to an article I ran earlier about the 8th gen sales figures that showed the stelaar showing of the Xbox One and PS4 but piss poor performances of the PS Vita and the Wii U. Story Update: One small retraction to take note of. As it turns out, those Gamecube numbers are incorrect. Nintendo’s own financial statements list it as having shipped 9.55 million units through March 2003. But it’s still better than the Wii U’s sales, make no mistake. 1) It’s not as easy as 1, 2, and 3. There isn’t a button you can press called “marketing” that magically makes something sell. Nintendo needs to execute more of the offerings and that’s the problem of the library of games comes in. In the eyes of the uneducated consumer the Wii U is nothing more than some add-on for the Wii, yes. But just like with every huge problem in history, the causation of the problem exceed one singular problem. The Wii U suffers from poor third party support, seemingly non interesting first party support among its issues not just poor marketing. 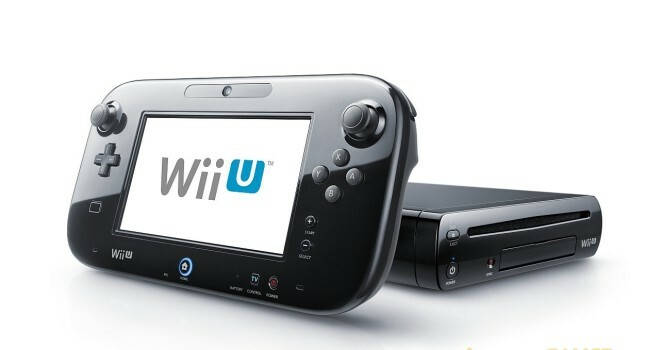 And speaking of it, Nintendo has made so many commercials trying to explain the Wii U and still nobody buys it? What does that tell you? 2) You wanna talk about doing research? Take you own advice. As history has indicated specs doesn’t sell consoles, though that isn’t to say that it doesn’t sway some people. The PS4 is breaking the trend yes, not because it’s more powerful, it’s because it’s more affordable, more of a dedicated video gaming system than the Xbox One. The PS Vita is stronger than the 3DS but the 3DS sells by the truckloads and you know why? It doesn’t matter how powerful a console is if it doesn’t have must have exclusives like what Pokémon did for the 3DS, nobody will care to buy it. 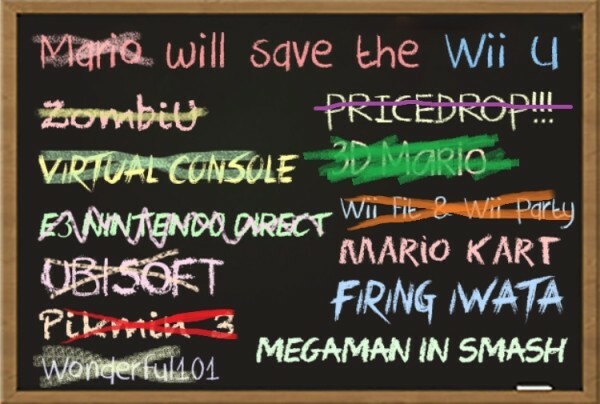 That’s the Wii U’s problem. It was a joke mah man… i barely defended them but i see your passion for wii u…. Marketing still is an issue, i guess appropriate marketing would be the correct term… they still could do better, but they’re improving… cool blackboard picture though… I was refering to one of the dudes that thought it was basically a ps3… chill…. Well Iwata died and the other 2 did nothing so, yea nothing could save it. Despite having the best exclusives.